The Disney/Fox deal, at long last, is done and officially in effect. There are a lot of mixed feelings going around about one company becoming so powerful within the entertainment landscape, but Marvel fans have reason to rejoice. 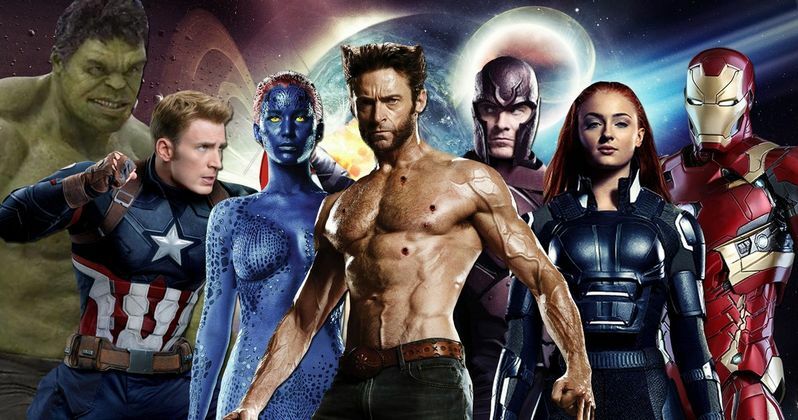 As part of the massive $71.3 billion deal, Disney is getting the rights to the X-Men and Fantastic Four, which are some of the last remaining character rights that Marvel had licensed to other studios in a pre-Marvel Cinematic Universe world, and before Disney purchased Marvel. Now, those characters can finally show up in the MCU, but don't expect it to happen overnight. For now, Marvel Studios President Kevin Feige is being very quiet regarding details on their movie slate beyond Avengers: Endgame. The only movie we know for sure is coming out after is Spider-Man: Far From Home, which hits in July. Beyond that, the studio hasn't actually announced any other titles. Though, some have made themselves known to the world anyway, and they provide clues as to when we could possibly see some of the Mutants or Reed Richards and the gang join the MCU fold. A new report detailing this element of the Disney Fox merger notes that the Black Widow solo movie starring Scarlett Johansson will enter production this year, likely very soon. The Eternals, another project that has made itself known despite the lack of a formal announcement, is also reportedly going to film before the end of this year, meaning that those could both be coming our way in 2020. There's also Shang-Chi, which recently locked down director Destin Daniel Cretton. And there are sequels such as Black Panther 2, Doctor Strange 2 and Guardians of the Galaxy Vol. 3 which, again, lack formal announcements but are on the way. Looking at that, even being optimistic, we probably won't see these newly re-acquired characters make their way to the big screen in the MCU until 2021. Especially considering that Fox still has Dark Phoenix on the way in June, as well as The New Mutants, which has had a particularly troubled production and may just get dumped to a streaming service like Hulu. Even so, Disney will still want to give those versions of the characters a little distance from the new versions they decide to introduce down the line. It's also important to talk about Deadpool. Ryan Reynolds already joked about the merger and, since those movies have been very successful and are only loosely tied to the larger X-Men universe, it's likely Disney will continue with Reynolds in that role. But, again, Reynolds is busy right now and word is the X-Force spin-off was scrapped, so we're going to be waiting at least a year or two before another sequel gets going under the new regime. Point being, it's certainly an exciting time for Marvel, overall, but it could take time for this to really bear fruit. This was previously reported by The Hollywood Reporter.